The Nigerian U17 National Team have avoided a semifinal meeting with Ghana in the semifinals of the WAFU-UFOA Zone B qualifiers for the Africa U-17 Cup of Nations following the conclusion of group matches on Sunday, September 9. The Manu Garba led side finished level on three points with Ivory Coast and Burkina Faso but topped Group B as a result of their superior goal difference of +3 and will battle hosts Republic of Niger in the last four. In the final match in the group, Ivory Coast thrashed Burkina Faso 3-0 to set up a meeting with Ghana at the Stade Municipal, Niamey on Wednesday, September 12, same day Nigeria will face the hosts. Nigeria have a score to settle with their neighbors Niger when both sides meet as they lost 3-2 on aggregate to the Menas in the qualifiers for the 2017 U17 AFCON after a 90th winner from Abdoul Karim Sanda. 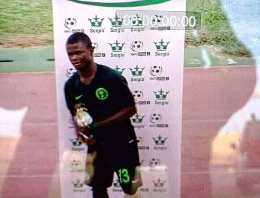 Four different players have scored for the Golden Eaglets in the ongoing tournament, Olakunle Olusegun is their top scorer with three goals, Olatomi Olaniyan has two goals to his name, while Hassan Hussain and Akinkunmi Amoo have scored one goal each. The winner of the WAFU-UFOA Zone B qualifiers will join six other regional champions and the hosts Tanzania for the 2019 U17 AFCON.